The measure failed by a margin of 59.11% to 40.89%. Only three regions — Emilia-Romagna, Tuscany and Trentino-South Tyrol — voted yes. Spare us, too, the comparison to Brexit. For decades, conservatives and eurosceptics demanded a fresh referendum on British membership in the European Union, in line with historical wariness about the role of a European superstate dictating policies to London — many of which London was already opting out. But no one in Italy had clamored for a referendum on political reform, especially in the form that Renzi pursued. In that regard, the referendum was just the final manifestation of the Renzi mistake — hubris and miscalculation — that haunted his premiership from the beginning. The referendum, as a technical matter, was a bid to win approval from the Italian electorate to streamline government by vastly reducing the powers of the Senato, the upper house of the Italian legislature, and consolidating power away from regional governments. But with Renzi’s pledge to step down if it failed, it became an opportunity for a protest vote, too. In a vacuum, there were reasonable arguments both for and against the reforms, designed to make it easier to effect legislation. Moreover, in a world where Renzi’s Partito Democratico (Democratic Party) risks falling behind the Five Star Movement in the next elections, due for early 2018, even many Renzi supporters worried about the prospect of consolidating power in a central government in Rome — just to hand it over to a group of inexperienced and potentially dangerous populists like the Five Star Movement. It’s also because a new election law, which now remains much in doubt after the election and pending a challenge in the Italian constitutional court, would deliver a ‘winner’s bonus’ to the winner of the plurality in the lower house, the Camera dei Deputati (Chamber of Deputies). Nicknamed the ‘Italicum’ law, the new system contemplated that Renzi’s senate and federalization reforms would pass. That law’s future is now even more unclear — and one reason why you shouldn’t expect snap elections in Italy. At 41 years old, Renzi is now the youngest former prime minister in Italian history. There’s a chance he could come roaring back, even as soon as in 2018. One cynical view is that Renzi wanted to leave office, given the likelihood that Italy’s government will soon have to bail out some of the country’s ailing banks, including the Monte dei Paschi di Siena, which will struggle this week to execute a planned rescue. The ‘No’ vote has already sent Italian banks tumbling today, though perhaps not as widely as previously feared. But the personalities of Italy’s political world will sort themselves out soon enough. No one should mourn Renzi. He came to power by winning the leadership of the Democratic Party then, weeks later, pushing out a prime minister — Enrico Letta — who came to the office following the 2013 elections. Though the Democratic victory in the 2014 European parliamentary elections was impressive, Renzi never bothered to seek an elected mandate from the Italian people in nearly three years in power. After executing his unelected putsch to become prime minister, Renzi laughably promised in February 2014 that within four months, he could enact election reform, labor market reform, tax reform and public administration reforms. It took until 2015 to pass the election reform, and it may yet collapse in court or under the stress of the failed referendum. Renzi completed a labor market reform last autumn, but certainly not nearly as sweeping as he or Italian businesses might have hoped. Unemployment remains high, and economic growth is stagnant. 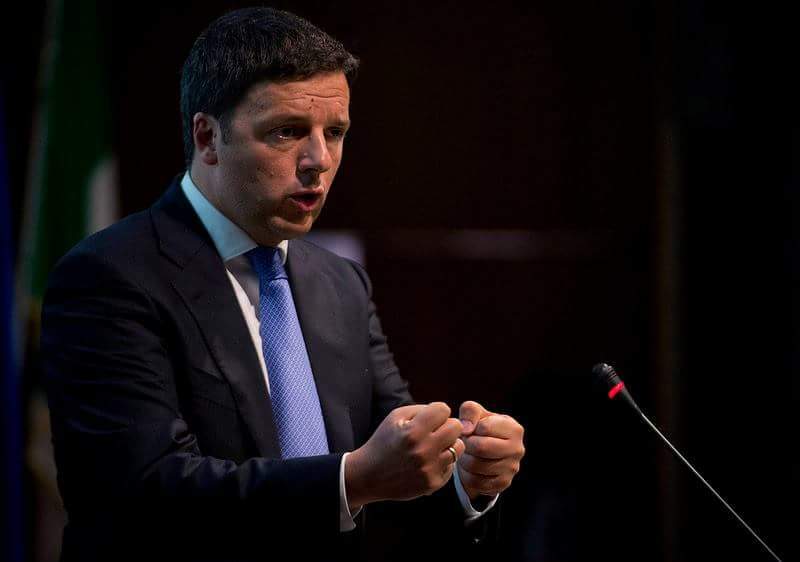 Voters can be forgiven for seeing the referendum as a plebiscite on Renzi’s failures after nearly three years in office and for wasting what little political capital he retained on reforms to Italy’s political systems and not the economy and jobs. Though the next steps will depend on the president, Sergio Mattarella, Italy now faces the likelihood of a technocratic cabinet, headed by someone acceptable to the center-left, until the next elections (sometime before 2018). Italy has had many such technocratic governments, of course, and it survived. Italy may go through a banking crisis in the days ahead, but it has survived those too. Italy survived a corruption scandal in 1992 and 1993 that literally swept away every major political party in power at the time. It will survive this too. No one should mourn either Renzi or the ill-fated governance reforms. Furthermore, the result does not, in turn, mean that demand for economic and structural reforms has evaporated. It also does not mean that Italian voters will now invariably turn to populists and xenophobes like Grillo and Salvini. The Democrats remain the most organized and popular party in Italy today and, even without Renzi at the helm, there’s still a case to be made for, and a receptive electorate to, economic reforms that can be effected through broad-based consensus and with a sense of compassion. Indeed, given that the Democrats encompass viewpoints from the economic liberal to the communist, it is a party well-placed to carry out that vital task. Oh, I mourn for Renzi, for all his admitted underperforming. I don’t see you mentioning anybody else on the Italian political scene who has some energy and a responsible vision for the country’s economy and political structure. Pier Carlo Padoan, I grant you, is more of a caretaker prime minister. Emma Bonino remains widely popular, and Renzi never should have tossed her out of the Cabinet. Dario Franceschini or Federica Mogherini or even Pietro Grasso would have the charisma and the vision and the responsibility. Angelino Alfano on the right, I guess, but he’s been a dud so far. Or even Beatrice Lorenzin, though she needs to raise her profile. Gianfranco Fini was basically getting there until he tanked in the 2013 election, and he has the benefit of coming from the fascist right to the sensible center-right.